Your wardrobe lineup simply isn't complete without a good full-zip hoodie. This one comes a convenient front pocket and a drawcord so you can tailor the fit of the hood to your liking. Made from fleece cotton and polyester with embroidered F-box patch logo and zipper with F-box puller. 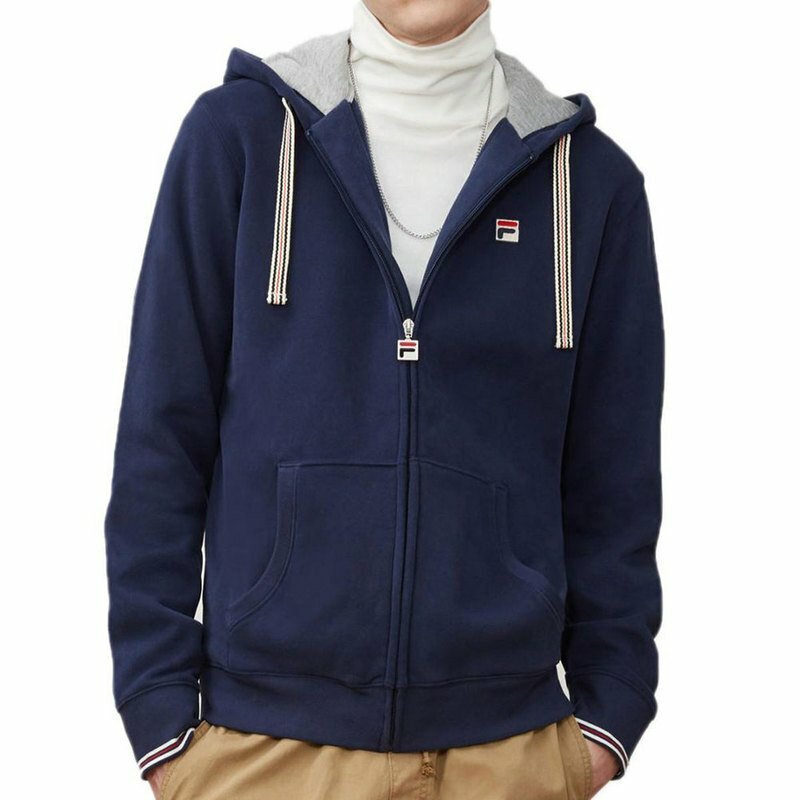 Fila is an authentic sports brand, committed to creating and marketing apparel that enhance the individual's pursuit of sports as a way to experience greater personal fulfillment.